SEOUL—Teenage North Korean defectors may have escaped starvation and repression, but they have a hard time playing catch-up with their South Korean peers once they resettle, RFA’s Korean service reports. “If they’re well-fed now, it doesn’t mean that the physical and mental effects of years of deprivation and starvation in North Korea have disappeared,” said Ma Seok Hoon, executive director of the Bridges Society, a non-governmental group that looks after North Korean teenagers in the South. “The side effects of starvation are long-lasting, and many of these kids are still experiencing serious gastrointestinal problems. Some of the girls suffer from gynecological disorders, and many of the youngsters experience an inferiority complex because of their slight physique,” Ma said. Educational difficulties are also rife among teen defectors, who face language difficulties, gaps in studies caused by major disruptions in daily life, and discrimination. “Some of them were street children and school dropouts in North Korea, and that is why they are always at the bottom of their class in South Korea,” Ma added. To us, North Korea, the country itself and its people seem pure and unadulterated. In South Korea, we are always stressed out because of our schoolwork, and also because everyone around is aware that we're from the North. “To us, North Korea, the country itself and its people seem pure and unadulterated. In South Korea, we are always stressed out because of our schoolwork, and also because everyone around us is aware that we’re from the North,” 18-year-old junior high school student Kim Ok Yi said. “That is why we sometimes feel disheartened and cannot help but think of the old times in the North. Over there, our classmates never shunned us, and we were never under so much stress. Getting around and having food on the table were always a problem in North Korea, but leaving that aside, there was never such intense competition as we encounter in the South,” said Kim, one of the 10,000 North Korean defectors now resettled in the South. She said North Korean children had great difficulty adapting to the freewheeling South after life in the tightly controlled North. “In South Korea, we learn about both our country and foreign countries in social science classes, and the content of our courses sometimes gets so complicated, that it becomes difficult to understand,” Kim said. “Studying was more fun in North Korea. Regardless of whether we were told the truth or lies and distorted historical facts, history was taught using...old sayings, and the students liked that,” she said. “Right now, I wish that my South Korean teachers would stop hitting us. They always carry a cane, and they hit us if we don’t do our homework. That really scares me. I thought good kids were not supposed to get hit, but if one does something wrong, the teachers apply collective punishment to the entire class,” Kim said. After living in South Korea for two years, Kim said she still had trouble understanding some words and expressions used in the South, while her biggest challenges were studying English and mathematics. Several other teen defectors interviewed by RFA confirmed Kim’s view. “Competition with the South Korean students is out of the question,” North Korean teenager Yoon So Ra said. Kim Hye Young, a graduate of Ehwa Women’s University’s Nursing School, wrote her master’s thesis on the depression symptoms affecting teenage North Korean defectors. She said the difficulties faced by the youngsters could seem overwhelming, and lead to depression and other psychological problems. “In order to be successful in South Korea, one needs to have a good grip on mathematics. But while in North Korea, these teenagers neglected their studies, as having food on the table was more important than anything else back then,” Kim Hye Young said. “Teaching methods customized for the North Korean teenagers in the South need to take into consideration their very special circumstances, and the fact that many of them may lack basic knowledge in many of the subject areas and need to revisit the fundamentals,” she said. According to Chun Jeong Soon, a North Korean defector who resumed her job as a math teacher in the South, North Korean youths need about three years to adapt to life in South Korea, and after that they become very similar to their peers. “North Korean girls go through a quicker adaptation to life in South Korea. It is easier for boys to fall into the many temptations of life in the South, such as underage drinking or enjoying all forms of entertainment available here,” Chun said. “Many of the North Korean kids lag behind in their studies and speak with a North Korean accent and are consequently ostracized and outcast by their South Korean classmates,” she said. “Most of them are still suffering from the long-term effects of past psychological trauma... The luckier ones were just beaten or abused by their families in the North… The unlucky ones watched their parents or relatives die from starvation or get arrested and dragged away by the authorities,” Chun added. Only one out of 10 respondents reported no difficulties at all. One of the difficulties encountered was language, with two out of 10 respondents having experienced some difficulty understanding the South Korean dialect. Another study by the Database Center for North Korean Human Rights in 2005 used a sample of 460 North Korean teenagers. Only one out of four respondents had a regular job. The rest had an insecure employment status, as irregular workers or day-laborers. Over half had trouble studying in South Korea, because the subjects taught in school were too difficult, and also because the subjects and material they had studied in North Korea proved useless. The North Korean teenagers had trouble making friends in the South and some of them had no hope of finding adequate jobs after graduation. 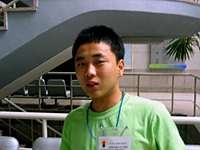 On Feb. 9, 2007, Prof. Kim Hye Ran of Seoul National University’s Department of Social Welfare announced the results of a survey based on a questionnaire answered by 65 teenage North Korean defectors. Original reporting in Korean by Jung Min Noh, Jinseo Lee, Si Chun ,and Wonhee Lee. 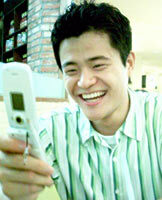 RFA Korean service director: Jaehoon Ahn. Translated and researched by Grigore Scarlatoiu. Written and produced for the Web in English by Luisetta Mudie and edited by Sarah Jackson-Han.